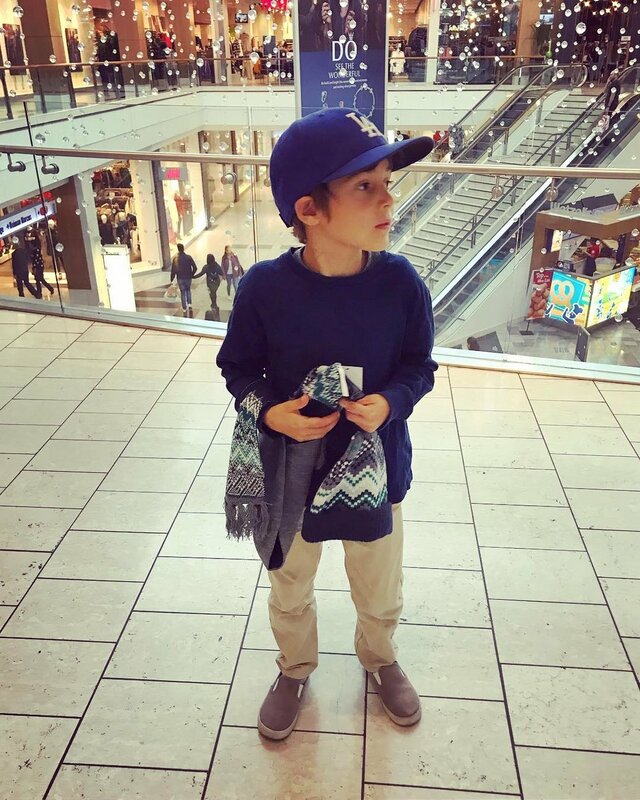 A couple weeks ago, I took my son to H&M to exchange a pair of shoes that didn’t fit him. While there, I saw this scarf and asked him if he liked it. He took the scarf from me, immediately put it around his neck, smiled, and asked if he could get it. We decided it would be a good purchase for winter, and so he quickly made his way to the cashier to get in line. I spotted the matching beanie as I tried to catch up, and brought it along to show him. He was excited to see the hat, and asked if we could get that too. Yes, sweet boy, we can. Upon leaving the store, he insisted I take his new scarf and hat out of the bag and let him carry them as we walked through the mall. He held on to them like they were his most coveted treasures, and he thanked me for getting them for him. Every time he has worn them since, he has treated them the same, proclaiming they are just as important to him as “monkeys” (his three sleeping buddies). Something about that scarf captured his heart and held on to it, beyond any explanation or reason. It’s a beautiful thing because, isn’t that the way most amazing relationships begin? An inexplicable, undeniable connection that defies logic and causes us to hold on with the most fervent conviction. I love his passion. It mirrors mine; and he is so much like me in so many ways. Unbridled expressions of devotion are just our thing, and we proudly flaunt them for all the world to see.